(04-19-2019, 12:53 AM)Top Secret Wrote: Oh my. I go away for a couple of months and I come back to this? 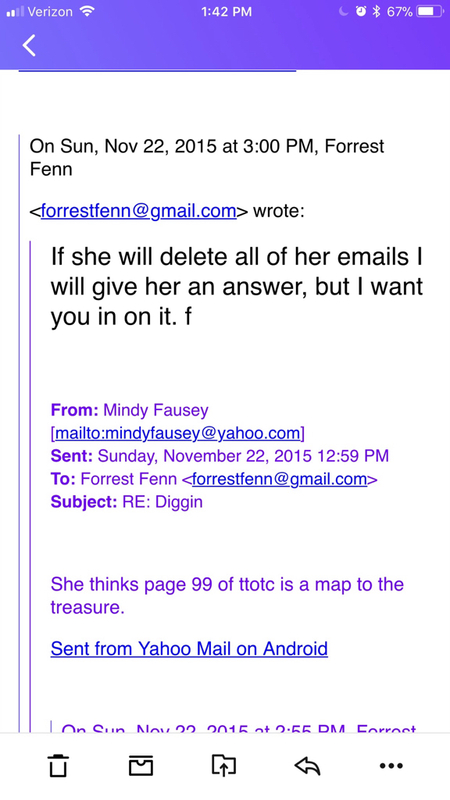 Mindy I am not sure why you even care to convince that verbose babbling scatterbrain Lurker Mike. It is clear he is injecting high octane distilled Fenn kool-aid directly into his veins. The dolt clearly wants to convince himself that this chase is on the up and up and he has surrounded himself with the right clientele to ensure he is firmly entrenched into the Fenn cult. So let him. He has zero chance of solving the poem because he is more concerned with trying to impress fellow Fenn flunkies of his status and position himself in the Fenn cult pecking order. He is a write off. Let him rot at the naive Fenn Funny Farm worship center. Once again the Mindy-adic kooks just couldn't resist the temptation to spend 18 pages talking about their crack idol. It is like they are engaged in some kind of giant group therapy session. If given the choice to muse about Mindy or solve the poem, Mindy is the clear choice. Even Davis has turned into a Lurker Mike verbose babbling lunatic with his page long rants. The time he spends on fantasizing over her is fascinating. Witnessing his fall from grace has been sad to watch, I hope he can get some professional help to move on from his Mindy obsession. In his own mind he thought he was something over here but reading his old posts that Seeker 9 posted, he is obviously a very low level chase amateur. Once dethroned it has been Davis' three year mission to do whatever he can to get attract Mindy's attention. That is a real compliment to Mindy and I thought I am a rock star to those groupies. Mindy does consume their every thought. I am jealous now! Yah Davis thinks it is unfair that these bunnies gain VIP access to Fenn's house. 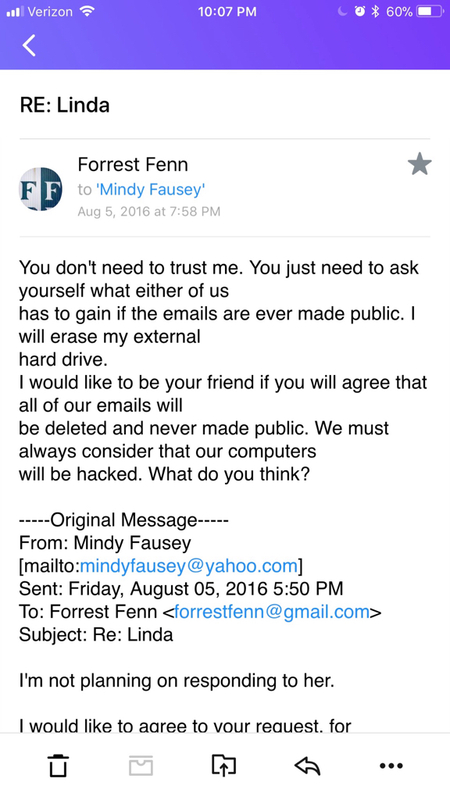 Rumor has it, he and Presby went camping together (Brokeback style) and sent compromising photos to Fenn hoping to gain VIP access and when that failed he has been out to get Mindy ever since. So explain why he would want two of his favorite female searchers at the time to delete all their emails? And if he had been so honorable in those emails, why would he care so much about deleting them all? That “Fakekpro” didn’t prove anything. Whatever she posted, isn’t my story. Whatever she (or he, knowing how people switch genders so often in these forums), said, isn’t true. The ultra-gullible Lurker Mike has gobbled the last drop of the cry baby sour grapes kool-aid and has now been officially removed from the chase and will eternally rot in the bitter chase cesspool know as Hairy's. I would like to take credit for accelerating his disposal from the chase but the reality is the laws of chase economics dictates where searchers end up. It was inevitable that he would naturally remove himself from the potential solver gene pool. The moron just spent the last month wasting his time literally writing novels about nothing chase related. I could sum up his 500,000 word novel length posts in 4 words, "I am a dumbass." The law of chase economics will always dictate which forum a searcher will end up on based on their natural constitution. Smart people end up on smart forums like CC, chase oriented people end up on chase forums and dumbass, vengeful whiny babies who have no interesting solving the poem or talking about the chase will end up with like-minded (or Mike-minded) losers at Hairy's sour grapes cry baby forum, destined to perpetually complain in chase purgatory about how they were beat by a searcher for the rest of their lives. Yah gotta love how natural selection works!